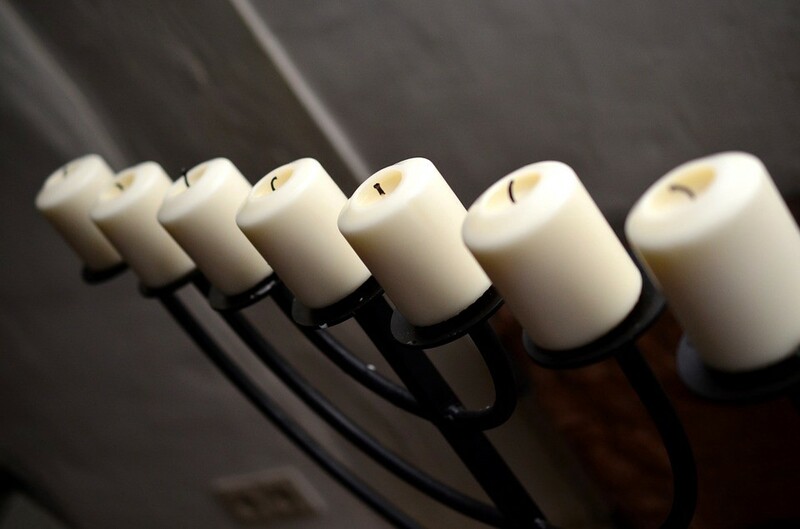 Chabad of Cherry Hill will host its Grand Menorah Lighting at Barclay Shopping Center. Chabad of Cherry Hill invited the entire community to its Grand Menorah Lighting this weekend. The lighting will take place at the Barclay Shopping Center on Sunday, Dec. 17, at 5 p.m.
Chabad will light the 18-foot tall Menorah in the shopping center parking lot at this event. Attendees can enjoy hot latkes and cider, donuts, Chinese finger food sponsored by Cherry Grill, dreidels and Chanukah giveaways. New this year, the Cherry Hill Fire Department will conduct a gelt drop from a fire truck. The event is free to attend, no RSVP is required. For more information, contact Chabad at (856) 874–1500 or email programs@thechabadcenter.org.